Since starting these author interviews two months ago, I have met some incredible people. Today, I’m really excited to feature a writer I respect, someone who knows what he’s talking about, who works hard at his craft and is just an over all great guy. Some of you may already know him as a moderator of the Fantasy Writers G+ community. Oh, and he’s ridiculously funny. Really. I received his interview responses at work and they triggered waves of barely containable giggles! Embarrassing!! Welcome, Chris! It’s great to have you with us today. Hi Dyane! Thanks for having me over. I’ve got the body of a Greek God minus the build and looks. My God-like powers are still in the mail though – I purchased them off an infomercial. Otherwise, I’m a writer, and it’s been four hours since I wrote my last word. My favourite flavour is epic fantasy, though I’m keen on anything speculative fiction (except horror – I scare easy). Mix any of it up with a good dash of cross-genre fun and I’m in heaven. 2- Are you interested in other forms of artistic expression besides writing? Where does writing fit in, and why are you drawn to it? What keeps you motivated/inspired? I’ve written a script or two, and have a couple more (loosely) planned. I’d like to say I’m good at all kinds of art, but the truth is that I make a pretty good handyman. Where I really shine is at SingStar (awesomeness varies with listeners’ states of inebriation). What keeps me motivated? My job – what I wouldn’t give to write a book that sells squillions of copies so I can retire in the style my family believes they deserve. 3- What forms of writing (short stories, poetry, novels, etc.) and genres do you prefer and why? What can you never see yourself writing? I’ve always favoured novels – you can immerse yourself in a novel and escape the real world for a while. I’m not if sure there’s anything I’d never write – a trollish review maybe? Okay, maybe I would if you bribed me well enough (I’m thinking of a brand new Lamborghini). 4- I’ve read books which annoyed me to the point where I wanted to throw them across the room. As a reader, what do you think makes a good story? What’s one thing a ‘bad’ book taught you to not do in your own writing? If you can make me care about your characters or at least what happens to them, then you’ve done your job as far as I’m concerned. You’ll transport me into happy land where heroes’ rise to stand proud on the ashes of whatever evil overlord you’ve concocted – hair still perfectly in place. I’ve never actually thrown a book across a room, though there’s plenty I’ve never finished. There’s been a troll or two I’d like to have thrown across the room though. Bad books, unlike trolls, are subjective. What I try to avoid is writing something an insomniac might substitute for a sleeping pill (painful I’m told, and likely to result in death). 5- As a writer, what elements do you find most crucial to include in your stories? What are your strengths and weaknesses? Crucial elements? I could fill a book about that (actually, I’m working on it, but that’s another story). Most crucial? Emotion. The more your characters care about something and the harder they have to fight for it, the more your readers will care. My strengths? I try to cut out all the boring stuff. Weakness? World-building – it’s an afterthought or a chore for me. Sometimes both. If there’s beer involved though, I’ll happily build you a model city out of the empty cans. 6- Who are the biggest influences in your writing? Any author who can turn off my internal editor. If you can do that I’ll pull your book apart to figure out why. I promise to put it back together afterward. 7- Can you tell us about your books? What other projects are you working on? My books? Well, according to my invisible friend who’s standing beside me (he just finished reading my epic fantasy and speaks with a British accent): “Brilliant! Genius! Couldn’t put it down!” Another invisible friend (she has a beautiful Irish accent) said: “You’ll laugh, you’ll fall in love, you’ll cry, and you won’t be able to stop thinking about it.” I won’t relate what the Aussie guy said – he can be a bit crass when he’s trying to be funny. 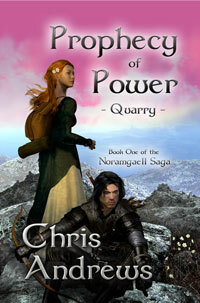 I’m currently shopping around Prophecy of Power: Quarry (the epic fantasy). It was short-listed in a couple of manuscript development programs and has attracted some attention since. Fingers crossed. It’s the story of a princess being hunted by assassins because of a prophecy she wants no part in – the first in a four-book saga. Another series follows a reluctant mermaid who accidentally kicks off a supernatural war with a succubus (Epicentre). It’s an urban fantasy set here on Earth in the present time, but within same story universe as Prophecy of Power: Quarry. A third series with an overarching title of Through the Veil is something of prequel to Prophecy of Power: Quarry (though set thousands of years earlier). It’s a star-crossed lover’s story spanning two universes. I’ve also started a stand-alone novel called Lost in Darkness. It’s a coming of age story about a blind swordswoman set nearly a hundred years prior to the events in Prophecy of Power: Quarry. Are you sensing a pattern yet? I struggle with world building, so reusing the same one makes sense to me. Time – family commitments and my job. I work around them. They’re closely followed by procrastination. To cope, I like to stay in touch with other writers – I find myself inspired by their efforts and successes. Raymond E Feist, Jean M Auel, Frank Herbert, Anne McCaffrey and David Eddings when I was younger. More recently Rachel Caine, Robert Jordan, Stephanie Meyer, Steig Larsson. Why are they my favourite writers? Well, favourite’s probably the wrong word. I respect them because they can make me care about their characters and what happens to them. That depends on their goals. If they’re similar to mine (ie, they fully expect an international number one bestseller within 24 hours of any given publication (hey, dream big dreams!!! )), learn the basics (grammar, punctuation etc), learn about structure, and learn about storytelling. They’re different things. Once you’ve sorted all that out, learn about marketing and promotion and how to use social media the ‘right way’ (it’s called social media for a reason – some people think it’s called Free Advertising Space, but as everyone hates advertising…). While you’re doing all that, write a few books. Of course, with a bucket of money you can pay someone else to do it all for you, but that’s not nearly as much stress… I mean fun. Again, thanks for having me over Dyane. It’s been a lot of fun trying sound like I knew what I was talking about. I think I faked it pretty well! Chris, thank you for taking time out of your busy schedule to chat with us. I’m certain everyone enjoyed meeting you as well as learning about your book and what writing means to you. 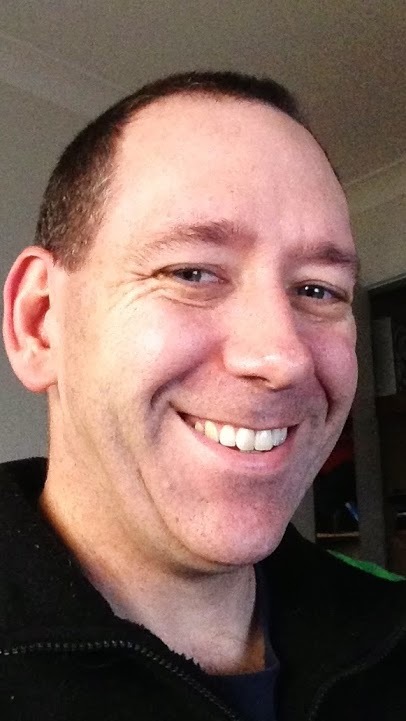 As usual, Readers, please check out Chris’s links and see what he’s up to, including the Fantasy Writers community he moderates, which is a great place for writers of this genre to meet, learn and to hone their craft. It’s great to meet you too! Ha ha! You’re right. Very witty. Great interview, and love your blog! Thanks Katie! I’ve not been blogging for long and am still learning so it feels great to hear you say that. 🙂 I’ve got your Chocolate and Raspberry Brimstone marked to read next! Glad you enjoyed the interview! Those are always so much fun to do. Great questions and answers from your guest author, Chris, in this lively interview, Dyane. Thanks Teagan! I had a lot of fun with it. Chris, I received a package in the mail that has your address on it. I opened it by mistake. I’m keeping it by the way. Great stuff you two. Lol See? There’s an answer for everything! Thanks for having me over Dyane! I had a lot of fun answering your questions. Hopefully I can host you next time?